PARSIPPANY, N.J., July 11, 2018 (GLOBE NEWSWIRE) — Ogilvy CommonHealth Worldwide (OCHWW; www.ogilvychww.com), a WPP Health & Wellness company (NYSE:WPP) (www.wpp.com), announced today that industry-renowned creative lead Samantha Dolin will join the agency July 16 as chief creative officer (CCO), North America, where she will oversee the agency’s New Jersey, New York, Connecticut and Canadian-based offices. A passionate leader aligned with OCHWW’s vision of doing the most impactful, innovative, and purpose-led work, Ms. Dolin comes to the agency with extensive pharmaceutical marketing experience acquired over the course of her award-winning career, which is rooted in the broader health and wellness and consumer arenas. In her new role as CCO, Ms. Dolin will apply her collective expertise and work with the creative team in place to help set the standard for creative excellence and drive the strategic creative vision for client brands and the agency as a whole. Ogilvy CommonHealth CEO Andrew Schirmer stated, “As OCHWW looks to expand our capabilities in new forms of communication channels and interventions, we couldn’t be happier to have Sam joining us to lead the creative charge. She is a vibrant, versatile professional who believes that deep insight and strategic foundation are critical success factors to any creative endeavor. Sam’s a champion of creativity in all its forms—a true ‘digital native’ who understands that how a target audience is reached is just as important as what’s being said,” he said. “Even more importantly, Sam recognizes the power of communications and inspiration to change people’s lives for the better. 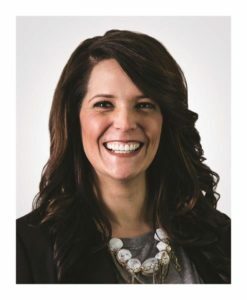 Sam represents the next generation of creative leadership in this industry; I can’t wait to work with her to see how she challenges and evolves our work moving forward,” Mr. Schirmer concluded. “As technology and access to information continue to proliferate at an exponential rate, I see these customer connections as one of our greatest growth opportunities. We live in a world where we must finesse, flex and adapt our creative in unique ways—techniques that can quite literally change the course of people’s lives. Our health is one of the greatest assets we have as humans. The potential to impact those outcomes for individuals is what I envision will fuel our collective inspiration—what better job is there than that?” Ms. Dolin added. Ms. Dolin comes to OCHWW following a successful tenure of seven years at Evoke Health, where she most recently served as EVP, executive creative director and oversaw a large book of business including agency of record accounts, digital agency of record accounts, and launch brands. Among her many industry accolades, Ms. Dolin was named by PM360 as part of the 2017 Brand Team of the Year and has been acknowledged multiple times by DTC National for her award-winning work in a variety of categories. Her brand experience spans a great many therapeutic areas including cardiovascular, infectious disease, diabetes, and vaccines, among many others. 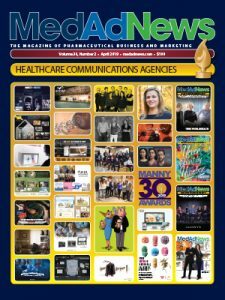 Ogilvy CommonHealth Worldwide, a WPP Health & Wellness company, is committed to pervasive creativity and measurable effectiveness in healthcare communications, across every marketing platform. Our main offices are in New Jersey and New York, with additional hubs in markets critical to our clients’ global aspirations. The organization houses and maintains individual Ogilvy CommonHealth and Ogilvy Healthworld brand identities within the marketplace.